Take a break from the city and head to Alcatraz Island and Fishing Charters & Tours. Attractions like Exploratorium and Cable Car Museum make great kid-friendly stops. There's still lots to do: take in the views from Golden Gate Bridge, take a leisurely stroll along Fisherman's Wharf, admire the natural beauty at Japanese Tea Garden, and play a few rounds at Lincoln Park. To find photos, reviews, ratings, and more tourist information, go to the San Francisco trip planner. Aberdeen, UK to San Francisco is an approximately 17.5-hour flight. You can also do a combination of train and flight; or do a combination of flight and train. The time zone changes from Greenwich Mean Time (GMT) to Pacific Standard Time (PST), which is usually a -8 hour difference. Expect a bit warmer temperatures when traveling from Aberdeen in June; daily highs in San Francisco reach 25°C and lows reach 15°C. Cap off your sightseeing on the 30th (Sun) early enough to go by car to Yosemite National Park. 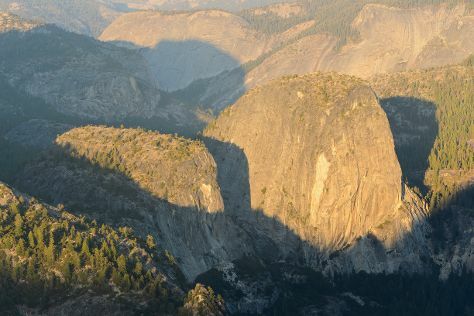 Start off your visit on the 1st (Mon): make a trip to Olmsted Point, then hike along Panorama Trail, and then explore the striking landscape at Glacier Point. To find other places to visit, where to stay, more things to do, and more tourist information, read our Yosemite National Park trip builder . Traveling by car from San Francisco to Yosemite National Park takes 4 hours. Alternatively, you can do a combination of flight and car; or do a combination of flight and bus. When traveling from San Francisco in July, plan for a bit warmer days and slightly colder nights in Yosemite National Park: temperatures range from 33°C by day to 9°C at night. Wrap up your sightseeing on the 1st (Mon) early enough to drive to Death Valley National Park. Start off your visit on the 2nd (Tue): contemplate the long history of Eureka Mine, then explore the activities along Badwater Basin, then get engrossed in the history at The Ranch at Furnace Creek, and finally explore the striking landscape at Zabriskie Point. For maps, ratings, photos, and more tourist information, refer to the Death Valley National Park trip itinerary planner. You can drive from Yosemite National Park to Death Valley National Park in 8 hours. Alternatively, you can do a combination of car and bus. When traveling from Yosemite National Park in July, plan for somewhat warmer days and warmer nights in Death Valley National Park: temperatures range from 45°C by day to 26°C at night. Finish up your sightseeing early on the 3rd (Wed) so you can go by car to Las Vegas. 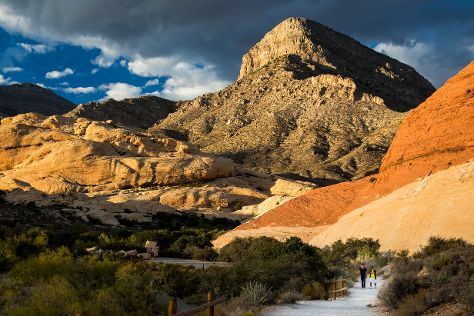 Kick off your visit on the 3rd (Wed): take in the dramatic natural features at Red Rock Canyon National Conservation Area, then admire the local landmark of Bellagio Fountains, then take in nature's colorful creations at Bellagio Conservatory & Botanical Gardens, and finally have some family-friendly fun at The Roller Coaster. To see traveler tips, other places to visit, maps, and more tourist information, use the Las Vegas trip builder website . Traveling by car from Death Valley National Park to Las Vegas takes 2.5 hours. Alternatively, you can take a bus. Traveling from Death Valley National Park in July, expect a bit warmer with lows of 32°C in Las Vegas. Finish your sightseeing early on the 3rd (Wed) so you can drive to Bryce Canyon National Park. Start off your visit on the 4th (Thu): identify plant and animal life at Rim Trail, then explore the striking landscape at Bryce Amphitheatre, then look for gifts at Ruby's Inn Canyon Rock Shop, and finally tour the pleasant surroundings at Navajo/Queens Garden Loop. For maps, photos, traveler tips, and tourist information, go to the Bryce Canyon National Park trip itinerary app . Drive from Las Vegas to Bryce Canyon National Park in 5 hours. Alternatively, you can do a combination of flight and car; or do a combination of flight, bus, and car. You'll lose 1 hour traveling from Las Vegas to Bryce Canyon National Park due to the time zone difference. Plan for much colder temperatures traveling from Las Vegas in July, with highs in Bryce Canyon National Park at 32°C and lows at 10°C. Finish up your sightseeing early on the 5th (Fri) so you can go by car to Monument Valley. Monument Valley is a region of the Colorado Plateau characterized by a cluster of vast sandstone buttes, the largest reaching 1000ft above the valley floor. Start off your visit on the 5th (Fri): explore the striking landscape at Monument Valley Navajo Tribal Park, hike along Wildcat Trail, and then don't miss a visit to Monument Valley Navajo Tribal Park. For photos, ratings, reviews, and tourist information, read our Monument Valley trip itinerary planner . Traveling by car from Bryce Canyon National Park to Monument Valley takes 6 hours. In July, Monument Valley is somewhat warmer than Bryce Canyon National Park - with highs of 38°C and lows of 17°C. Finish your sightseeing early on the 6th (Sat) to allow enough time to drive to Grand Canyon National Park. Step out of the city life by going to Rim Trail and South Kaibab Trail. On the 8th (Mon), hike the day away at Bright Angel Trail. There's lots more to do: explore the stunning scenery at Grand Canyon South Rim, take some stellar pictures from Mather Point, take in panoramic vistas at Desert View Watchtower, and get curious at Yavapai Geology Museum. To see more things to do, ratings, where to stay, and more tourist information, refer to the Grand Canyon National Park trip planning app . You can drive from Monument Valley to Grand Canyon National Park in 3.5 hours. Expect slightly colder temperatures when traveling from Monument Valley in July; daily highs in Grand Canyon National Park reach 34°C and lows reach 13°C. Finish your sightseeing early on the 9th (Tue) to allow enough time to drive to Joshua Tree National Park. Joshua Tree National Park takes its name from the Joshua tree, a twisted, spiky tree with bayonet-shaped leaves at the top that's one of the few plant species hardy enough to thrive in the extreme climate of the Mojave Desert. Kick off your visit on the 10th (Wed): make a trip to Arch Rock and then admire the verdant scenery at Hidden Valley Nature Trail. For maps, more things to do, reviews, and more tourist information, refer to the Joshua Tree National Park online journey planner . Getting from Grand Canyon National Park to Joshua Tree National Park by car takes about 6.5 hours. You'll gain 1 hour traveling from Grand Canyon National Park to Joshua Tree National Park due to the time zone difference. Expect a bit warmer weather when traveling from Grand Canyon National Park in July: highs in Joshua Tree National Park hover around 46°C, while lows dip to 30°C. Finish up your sightseeing early on the 10th (Wed) so you can go by car to Los Angeles. On the 11th (Thu), get in on the family fun at Universal Studios Hollywood. To see traveler tips, maps, other places to visit, and tourist information, you can read our Los Angeles trip planner . Traveling by car from Joshua Tree National Park to Los Angeles takes 3.5 hours. Alternatively, you can do a combination of taxi and bus; or do a combination of car and bus. Traveling from Joshua Tree National Park in July, expect nights in Los Angeles to be slightly colder, around 22°C, while days are cooler, around 33°C. Wrap up your sightseeing on the 12th (Fri) to allow time to travel to Monterey. 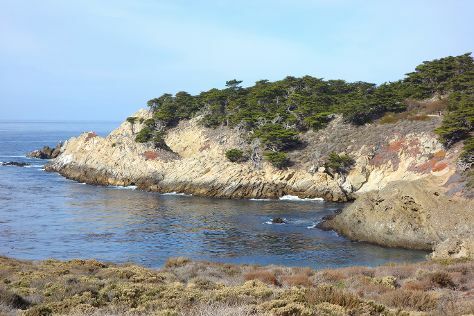 Monterey is a city in the U.S. Start off your visit on the 12th (Fri): explore the activities along Monterey Bay, then don't miss a visit to Pacific Grove Oceanview Boulevard, and then admire the majestic nature at Point Lobos. On the next day, get up close to creatures of the deep with a dolphin and whale watching tour. To see reviews, where to stay, traveler tips, and tourist information, read Monterey trip itinerary app . Getting from Los Angeles to Monterey by flight takes about 4 hours. Other options: do a combination of flight and shuttle; or drive. In July, Monterey is little chillier than Los Angeles - with highs of 24°C and lows of 15°C. Finish your sightseeing early on the 14th (Sun) to allow enough time to drive to San Francisco. 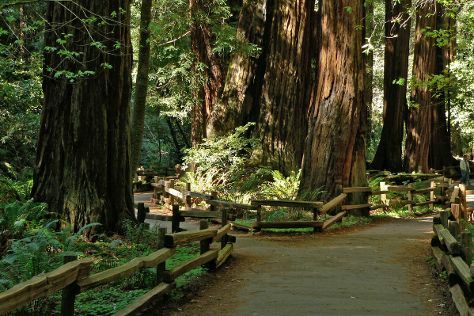 Kick off your visit on the 14th (Sun): take in the awesome beauty at Twin Peaks, then delve into the lush surroundings at Muir Woods National Monument, and then buy something for everyone on your list at Ghirardelli Square. Get ready for a full day of sightseeing on the 15th (Mon): get up close to creatures of the deep with a dolphin and whale watching tour. To see reviews, photos, ratings, and more tourist information, read San Francisco trip builder tool . Traveling by car from Monterey to San Francisco takes 2.5 hours. Alternatively, you can fly; or do a combination of bus and train. Finish your sightseeing early on the 15th (Mon) so you can travel back home.